Its raining in New Delhi…and guess who’s a happy bear 🙂 . 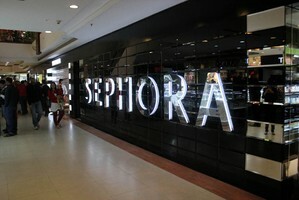 Yesterday I forced my husband to take me to Select citywalk, to visit Sephora. I know I’m a little too late to jump on the bandwagon but never the less. I bought quite a few things.. I will be sharing my sephora haul soon. Stay tuned! I hope you are enjoying my get the look series. I am trying to stay consistent with them *fingers crossed*. Do let me know if you have any comments or suggestions.